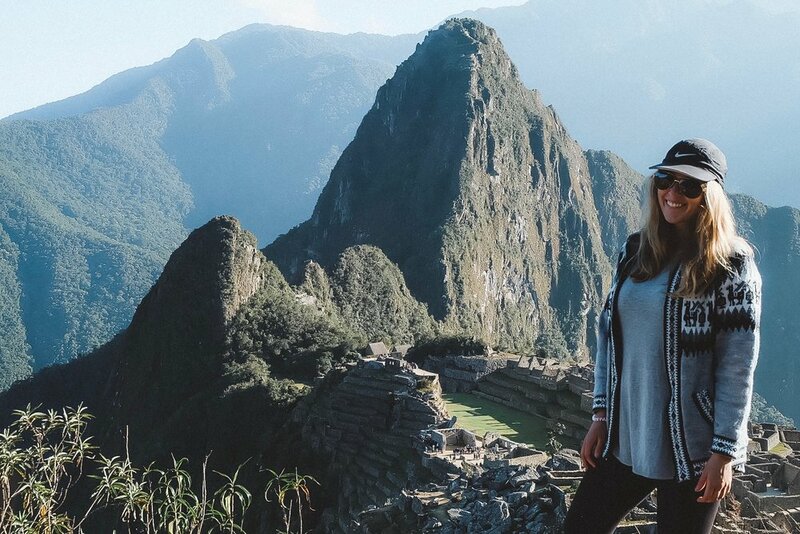 This past summer, I had the chance to visit two breathtaking countries, Peru and Bolivia, with my older sister, Éliane. We spent one month backpacking around South America, trying to find the most beautiful landscapes these countries had to offer. Of course, we weren’t disappointed. South America is a must-see destination for adventure seekers, mountain lovers, and photography enthusiasts. Although the treks we embarked on were challenging, mostly due to the high altitude, we experienced so many places that left us completely in awe. Choosing the spots we would go to wasn’t always easy since there are so many astounding places to choose from in Peru and Bolivia, and one month certainly isn’t enough to see them all. Nevertheless, I feel more than satisfied by all of the incredible places we were able to visit. First, let’s talk about Peru, a country well-known for its famous Inca archaeological site, Machu Picchu. But let’s not forget all of the other natural wonders that can be seen here! During our first week, we went to a stunning place called Salinas de Maras. We rented an ATV to get here and that made the day such a fun adventure! When we arrived, we discovered thousands (six thousand to be exact) of individual small salt pools embedded in the side of a hill. It was a really surreal view and totally worth traveling up the dusty road to make it here. In the same week, we also took a day trip from the beautiful city of Cusco to hike the Ausangante trek, which leads you through snow-capped peaks to the otherworldly Rainbow Mountain. We had to climb up to a total elevation of over 17,000 feet to get a glimpse of this multicolored mountain, but it was well worth the effort and lack of oxygen. You can climb by foot, or even rent a horse at the bottom if you want to give your legs a break, either way, the adventure is worth the reward. Another favorite spot we saw is Ica, or the Huacachina Dunes, where you can climb over massive sand dunes, watch the sunset over the desert, go sandboarding, and of course, travel in a buggy for a fun but bumpy ride. I’d recommend this place as somewhere to sit back and just take it all in as you let the surrounding scenery amaze you after a difficult hike. Right after the dunes, we headed for Huaraz, a small city surrounded by the Cordillera Blanca, the world’s highest tropical mountain range. The city is famous for how close the mountains are, as well as nearby Huascarán National Park. Huaraz is the starting point of most of the treks around the Cordillera. The first one we did was called Laguna 69. It consists of a two-and-a-half hour uphill walk to get to the lagoon and a two hour downhill walk to get back down. It takes a lot of effort to experience the lagoon in all its glory due to the constant steep climbing. But once you get there, you can appreciate a jaw-dropping point of view. It was, without a doubt, one of the best places I’ve seen so far in my life. The day after, we were ready for a little bit of a challenge, so we decided to do the Santa Cruz trek, which is supposedly one of the most beautiful hikes in the world. We booked a tour (it’s prohibited to do it without a guide) with Alpa K in Huaraz, who provided us with a magnificent experience. More specifically, we walked for four days in the Peruvian Andes and had the chance to appreciate all the impressive snowy peaks and experience the cold camping nights of the Cordillera. I’d say this hike is one of the best ways to really discover the region and can be done by people of all ages. During our journey through the Santa Cruz region, we had the chance to appreciate all sorts of landscapes ranging from glacier lakes, to rocky mountains, to thundering rivers. Overall, I think this trip to Huascarán National Park was the highlight of my trip and I would recommend it to anyone traveling to Peru. We also had the opportunity to travel around Bolivia, a country that is too often overlooked by travelers in my opinion. Unfortunately, we didn’t have as much time here as we did in Peru, but we made the most of it. 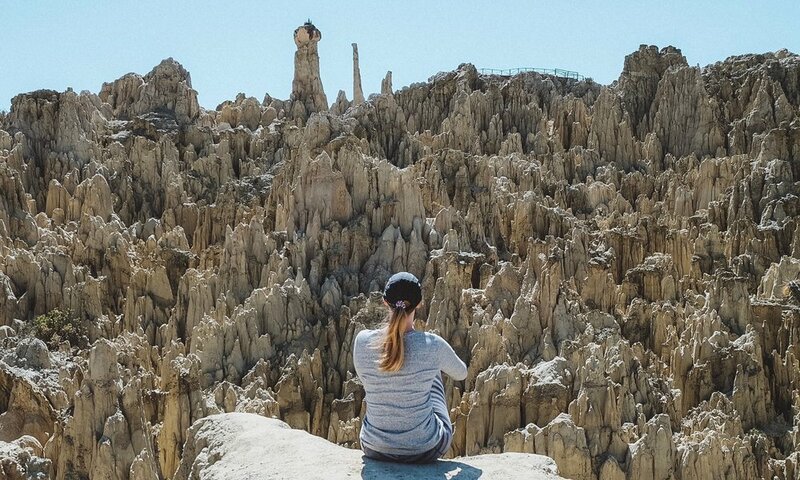 What impressed me the most was our four-day tour in the Uyuni salt flats, which is known to be the biggest salt desert in the world. We also headed south to visit the Sur Lipez, a region in southern Bolivia (close to Chile and Argentina) that made us feel like we were on another planet, bursting with an abundance of unique landscapes. The salt flats here made me realize how small we are when compared to the great vastness of nature. During this tour, we spent an evening at some local hot springs, watching the shooting stars and the Milky Way Galaxy light up the darkened heavens above us. I can easily say this was one of the most magical nights of my life even though we had to sleep in temperatures as low as five degrees Fahrenheit. 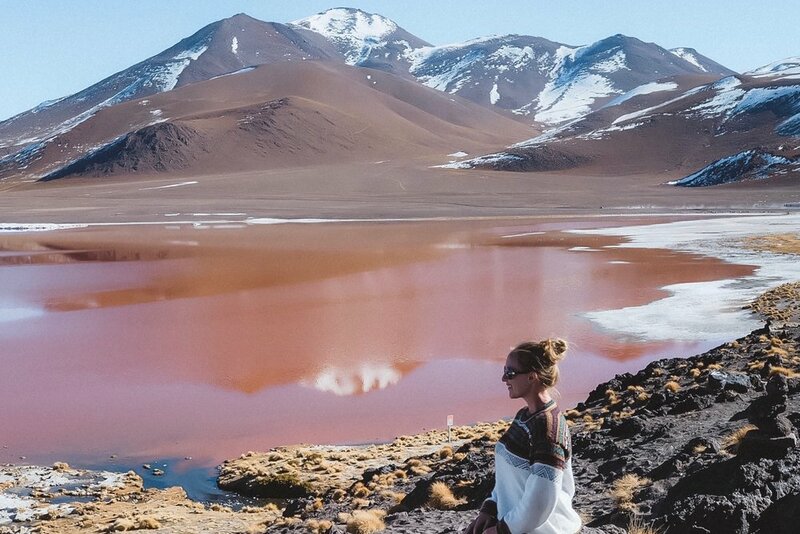 As the tour continued we also saw extraordinary natural wonders like the Laguna Colorada, the Laguna Verde, and the Dali Desert. One of the places I highly recommend in Bolivia is Copacabana/Isla del Sol. Copacabana is the perfect place to relax, have a drink and enjoy a pleasant summer vibe. 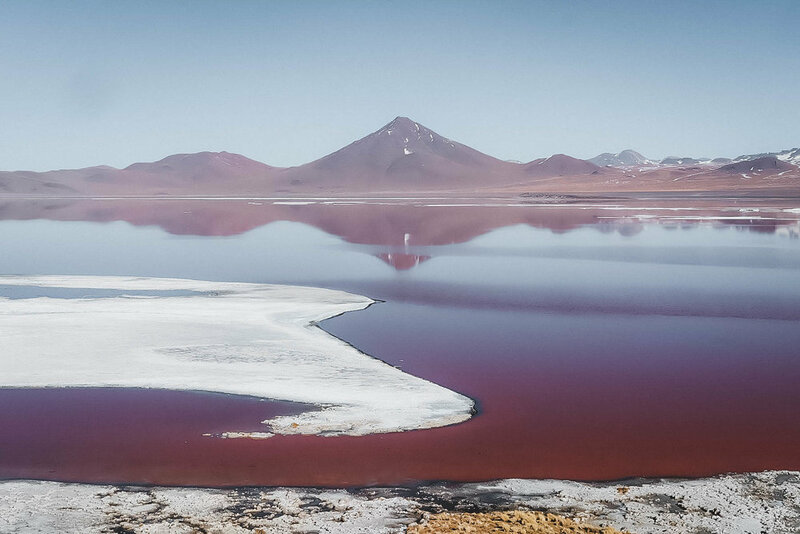 In the morning, boats are available to take a tour on the highest navigable lake in the world, where you can spend the day on Isla del Sol to appreciate the deep blue lake water, the view on the Cordillera, and the local dish, the trout. Overall, Bolivia was pretty different from Peru but it too has a plethora of great landscapes to offer. Follow Maryse on Instagram to see even more of her breathtaking travel photos. Maryse Légaré is a twenty-five-year-old dentistry student and travel lover living in Quebec City, Canada.